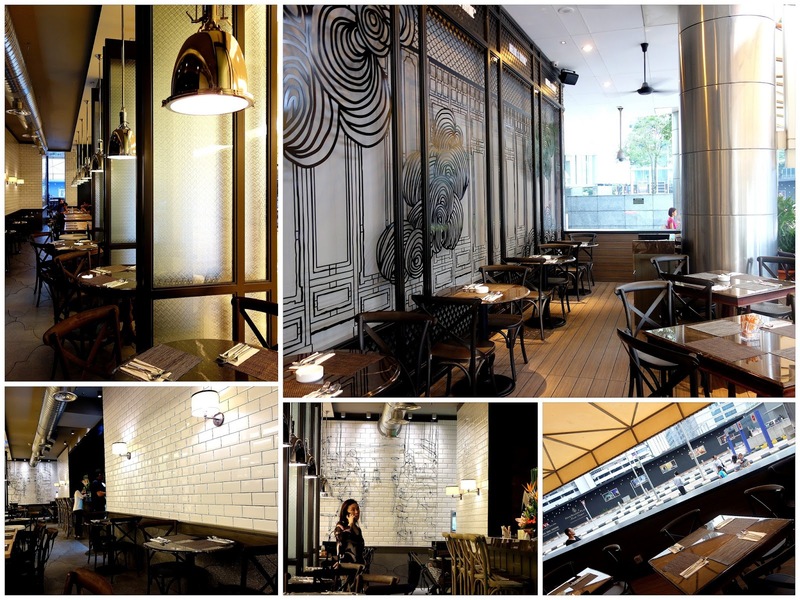 Crossing kopitiam charm with contemporary flourishes, Melur & Thyme blossomed this month at KLCC, offering one of this mall's most intriguing new options in a long time. 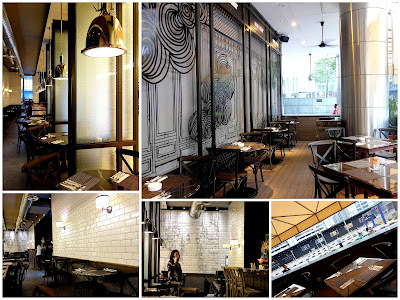 Melur & Thyme's air-conditioned interior & alfresco roadside area both boast an understated elegance with inventive elements, a testament to an East-meets-West restaurant that strives to meld nostalgia with novelty. 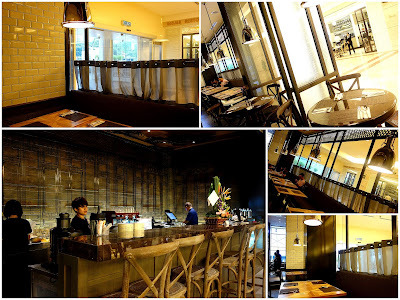 Last Friday's opening evening proved more peaceful than expected; Melur & Thyme is hidden on a seldom-traversed corridor somewhere on KLCC's Isetan wing. Melur & Thyme's prices are reasonable; the menu's costliest choice is the foie gras burger (RM39 before taxes), featuring a house-minced beef patty marinated with herbs & spices, grilled to respectable tenderness & topped with a little liver, not much. Sufficient foie, for what it costs. Tapas are a treat; folks can sample a multitude. We skipped the Western one (lamb meatballs, crumbed goat cheese, salmon croquettes) & focused on Eastern fare like this "Devil Red Curry," duck braised with chili & coconut milk (RM15, with bread or rice). Quail, prepared with lime leaves, lemongrass, onion, garlic, galangal & ginger (RM11), makes for a juicily addictive treat. Use your fingers, then lick 'em. Some misses should be noted though: the Penang char kuey teow (RM18) with shredded duck meat is commendable for its bouncy prawns, but its cockles tasted stale _ somewhat surprising, since this was Melur & Thyme's first night in business. 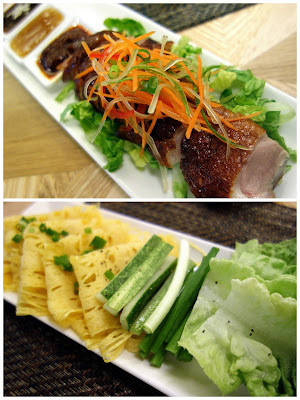 This take on Peking Duck (RM29) employs 'roti jala' instead of the thin pancakes. Lots of crunchy veggies complement the fleshy, flavorsome meat, though to be sure, the combo tastes very little like Peking Duck. No harm in that. This look familiar? 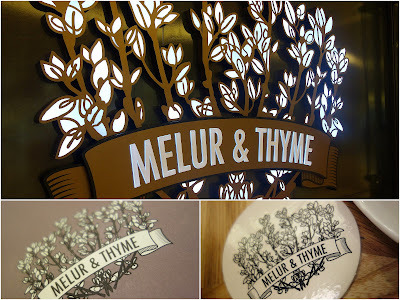 Melur & Thyme is run by folks behind Hartamas' now-closed Duck N Such. The carbonara spinach tagliatelle with smoked duck (RM28) shows substantial improvement, coated in a creamy duck egg sauce that's moreish to the max. Entry on Duck N Such: July 5, 2012. 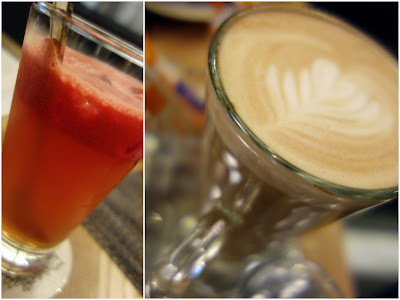 Melur & Thyme is seeking a halal certification, so beverages are limited to the likes of this watermelon honey juice & caffe latte. No matter; for our cocktail fix, it's easy enough to ease over to, say, Chinoz On The Park. Sangria Goes East (dry sake, white wine, shochu, citrus fruits), Zen-Ti-Ni (vodka, ginger essence, lime), Crime of Passion (cane spirit, creme de cassis, passion fruit) & Shocking Pink (cacacha, apple juice, pitaya, chocolate blanc, fresh cream). 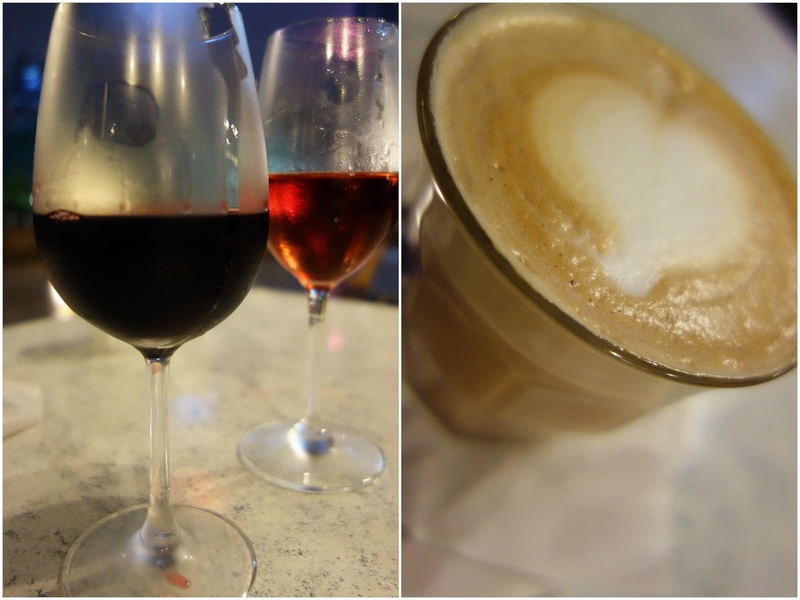 Wine & coffee to while the night away, ahead of the eventful weekend. Entries on Chinoz on the Park's food: May 2009. 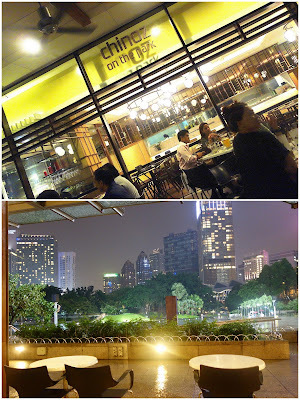 G03H-I, Ground Floor, Suria KLCC. At last its opened. have been wondering when it will open. The name itself had me curious from day 1. Ulric: quail eggs in satay celup ... yumssss! Those drinks and coffee look really good! The decor is very unique. Interesting. The ambience certainly is a fresh look for KLCC. 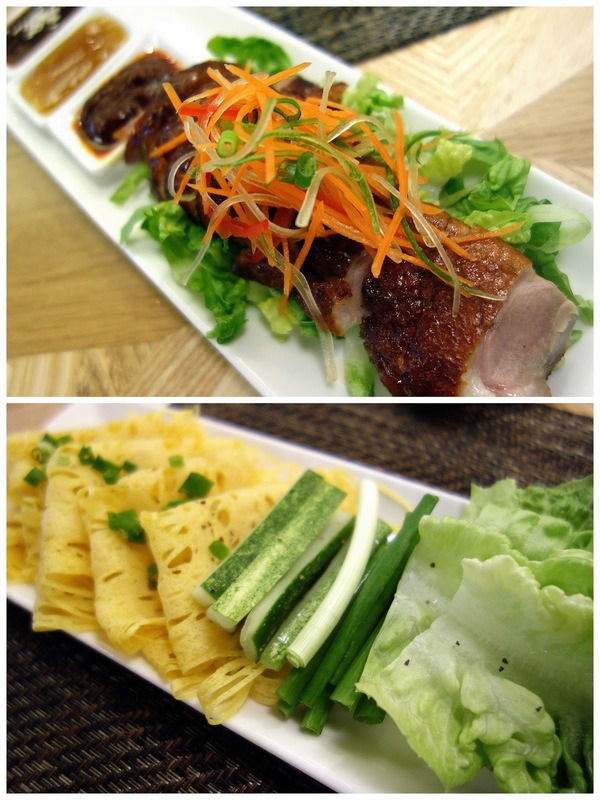 I am definitely interested in the Duck Meat Char Keow Toew ! Nice fusion, nice play with words...in place of rosemary & thyme. Ya...I love duck! Would want to try that kway teow too. Ohh....the interior of Melur & Thyme is very nice! Hmm...the cockles in CKT looks overcooked rite? Darn, no duck burger or duck satay then? Love the decoration, and impressed with the prices considering the prime location. 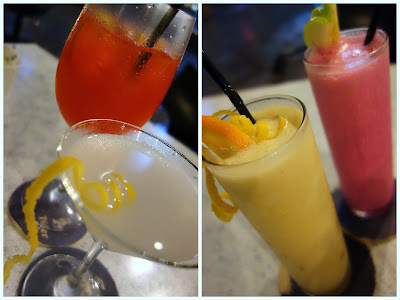 Its always fun to see local dishes given a modern twist. For me, I would definitely go for the foie gras burger first! Browse Melur and Thyme's whole menu, order and pay with your phone. Download the app at www.getprepp.com or on app store! Search for Prepp! 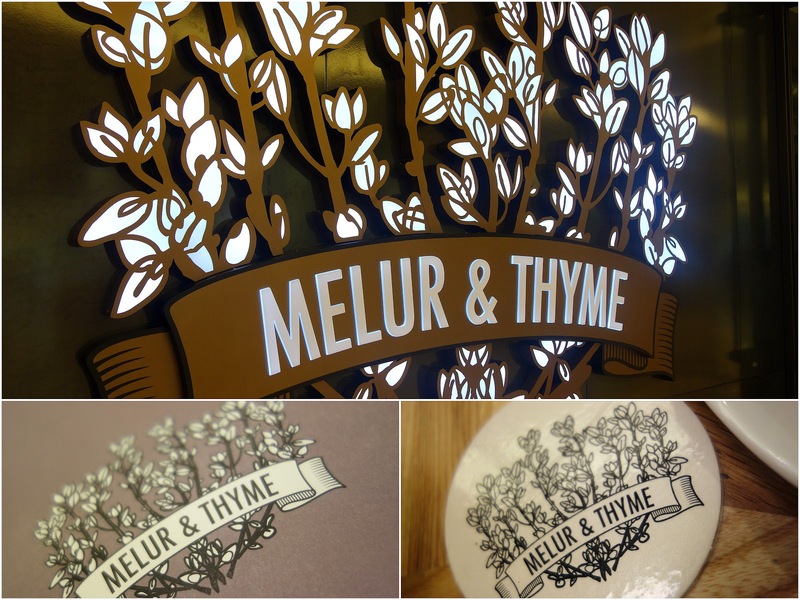 is it melur and thyme certified halal? ?